We ALL have a great time. . .
Carol is a born teacher. Carol Walker -- breath of fresh air. Inspiring, well planned & taught. Always wonderful to have Carol Walker here – love her workshops. Carol Walker’s workshop was especially fabulous – flawless – everything timed well, great handouts, perfect pace. Good, informative, easy to follow. Excellent – learned some new techniques. She is a very good teacher who I had not met before. I am a relatively new player, and learned so much this weekend. There were so many new ways to play that I was unfamiliar with. For the most part I have learned to play the dulcimer on my own. The workshops were so helpful for me. GREAT! Very encouraging & non-threatening for a self-conscious beginner. Very good. Taught just a few songs so time to go over each & in several different ways. Learned some really neat ways to play. ...making simple tunes into harmony – lots of good hands on!! Very good, Carol Walker especially. a real lot of fun with simple tunes. Carol Walker -- well prepared, had a variety of tunes, made enough copies, geared the level of their workshops so all could do something, kept my attention, was great! I'm so grateful for your careful planning and good instruction. You fine tuned my ears (and hands!) so that I am able to take some old favorites and smooth them out more beautifully. I'm also on the lookout for more "delicious" chords as I think about doing more arranging. I'm working on several of the tunes you gave us as well. Would absolutely take another class with her. Carol presented the material as a fine instructor and technician on the instrument BUT also as an artist with expressive flair. Thank you for having her teach the master class!! Carol was very motivational and challenging me to another level. Taught fabulous workshops on music theory. Broke the information in to understandable forms. "What I liked best at camp? 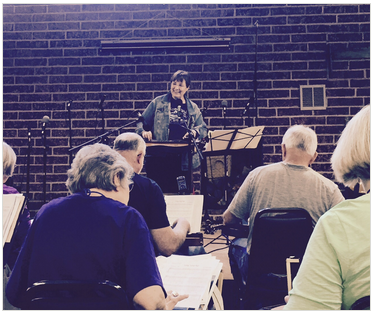 Classes with Carol -- because she has a good method for teaching a new song." "...excellent teaching skills and music ability." "Carol's method for learning new songs and working on hard parts was very helpful. Going over recommended fingers to get one through a song very good." "I liked the way Carol broke down the parts, and gave noodling time. I really appreciate the teaching strategies of isolating difficult parts and playing them repeatedly. I loved the way Carol taught us to analyze the music first!" "You are a fantastic teacher and performer. I felt very comfortable in your intermediate class. The pace was perfect for me! [My husband] noticed immediately the improvement and confidence in my playing." "Thanks for spending a week with us at the Wallowas. In addition to your great workshops I will always remember you wonderful smile and laugh. I love playing all the songs you taught us and exploring your books." "To date no instructor has had the degree of positive effect on our playing that you have. Your music and personality really spoke to us. I have discovered the joy of fingerpicking and how it opens up a whole new dimension to the Mountain Dulcimer. Our daughter is a new dulcimer player and we gave her your books and she has also fallen in love with fingerpicking and your Manx tunes." "...thank you so much for the intermediate classes you taught. I really enjoyed them and felt I learned a great deal. Your classes were fun as well as very rewarding! And............your performance was so exciting and your skills are amazing!" "Thank you so much for sharing your amazing talents with us in Guntersville! You have forever friends here!" "Trip to the Isle of Man class was [the highlight of my festival experience.] 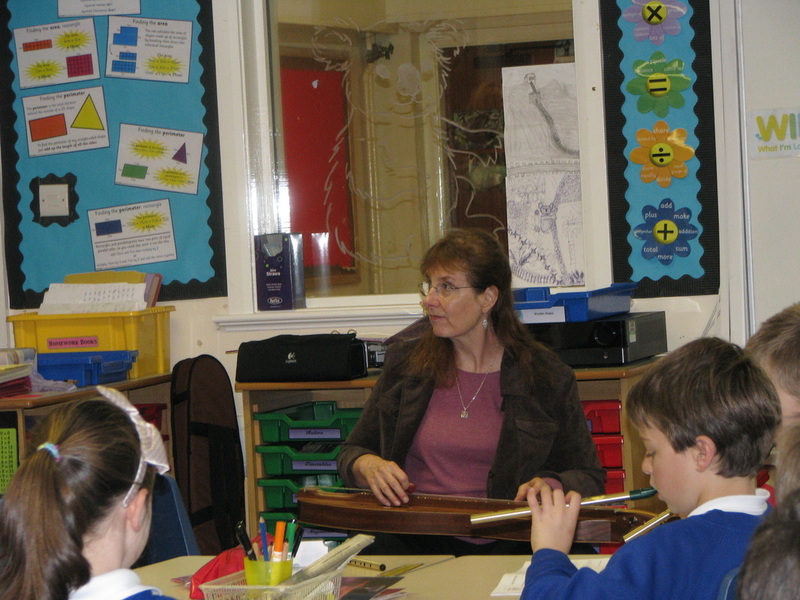 Loved the interaction of dulcimer and history." 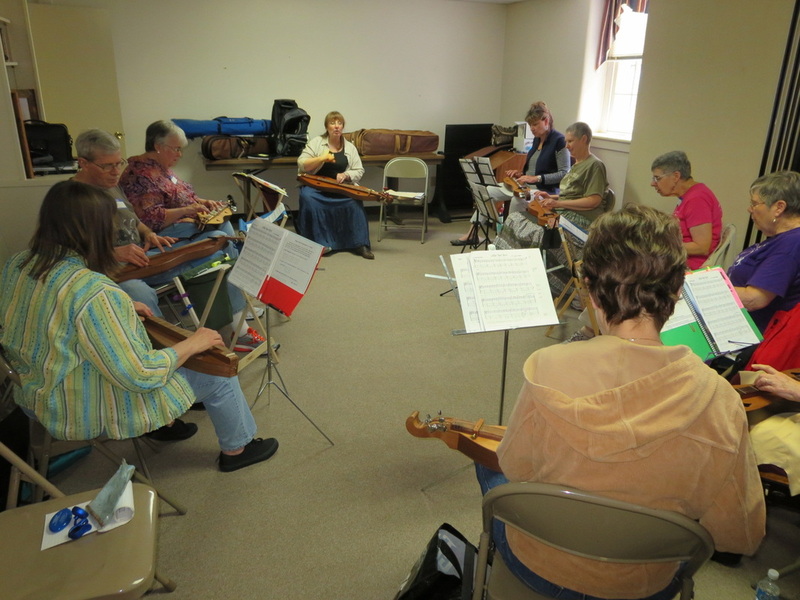 "I thoroughly enjoyed this past weeks dulcimer time with you in Guntersville, AL. It was the best workshop I have ever been a part of. Thanks so much for sharing your time and talent with us." "All the workshops were great, but yours was the one that gave me something that I can take home and work on right away." "Fantastic, excellent teacher -- so helpful! Love her 'style' -- the 'idea' of her teaching -- 'free spirit teaching!' Loved it!" "This was exactly what I was looking for. Thank you so much." "She was very organized -- her handouts were clear, and the information was just right for our group." I loved this class. Carol was so inspirational in her presentation. Useful demos of techniques, fingerings; Great music-beautiful arrangements; Great stories interspersed. Wonderful pacing. Lots of great handouts. Loved Carol Walker! Carol Walker was an excellent presenter. Carol is energizing at the end of the day.